Identical construction as 3040 except that rather than being hinged on long side, this is hinged on short side. 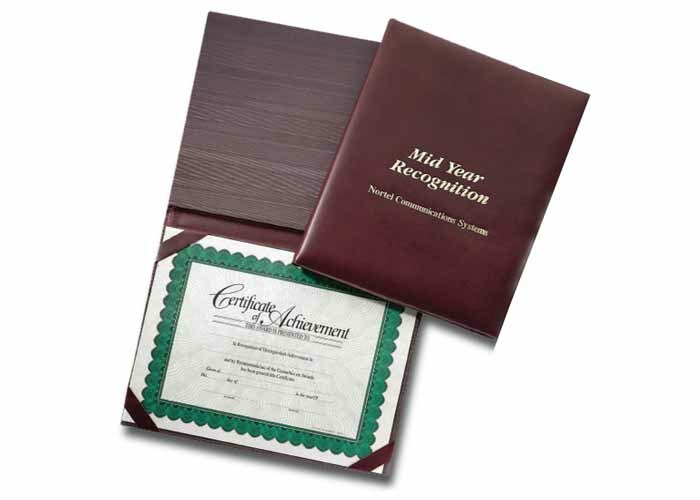 Holds 8-1/2 x 11" Certificate. Imprint Area: 6 x 4"